Home security and automation technology is moving at a tremendous pace. And, as the famous jazz musician Duke Ellington used to sing ‘Things ain’t what they used to be’. Our installers know that and that’s why so many of them are joining the Eldes Academy to bring their knowledge of home security and automation technology up to date. Giedrius is a professional installer who has experienced the Academy at first hand — and he is now using his knowledge to help other installers and customers as an Eldes Customer Support Engineer. Entry to the Academy is free and provides a three-day full course. One day of the course introduces Eldes products and includes general information on home security and automation technology. The other two days are for small groups of up to six people with practical demonstrations of installations. Installers work with Eldes Utility software on configuration and try some practical home automation scenarios. The team must have been impressed by the interest and product knowledge Giedrius demonstrated when he called because, in November, he received a call from the Customer Support Manager offering him a job on the team as Customer Support Engineer. This dual role as installer and Customer Support Engineer makes multi-tasking the biggest challenge in his career, but Giedrius believes it’s only a matter of time before he adjusts to the pace and moves to the next level. 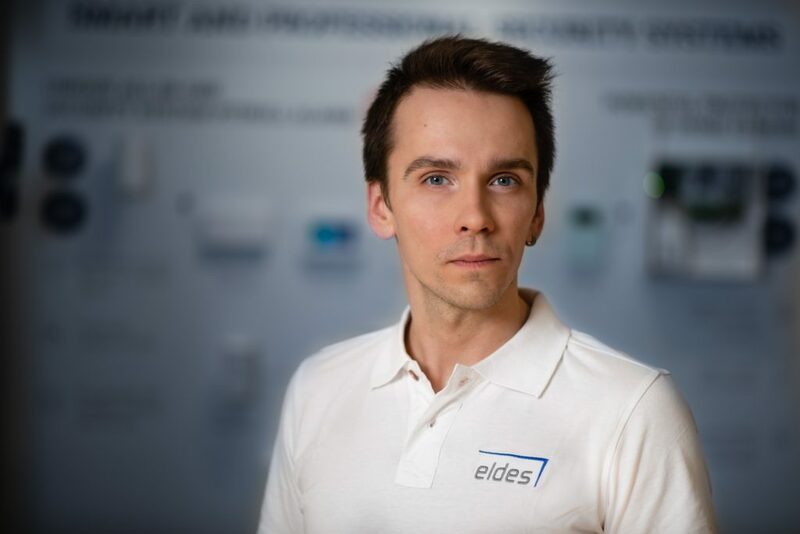 If you are considering boosting your career as an Eldes-certified installer, the type of practical experience and knowledge that Giedrius’ gained at the Eldes Academy could prove invaluable. Home automation and security is a fast-growing market with great opportunities for the right people. Currently, the Academy is only available in Lithuania, but we would be happy to extend this important service to other countries if there is sufficient demand. If you are based in another country and would like to join the Academy, please complete the registration form belo so we can gauge the interest.